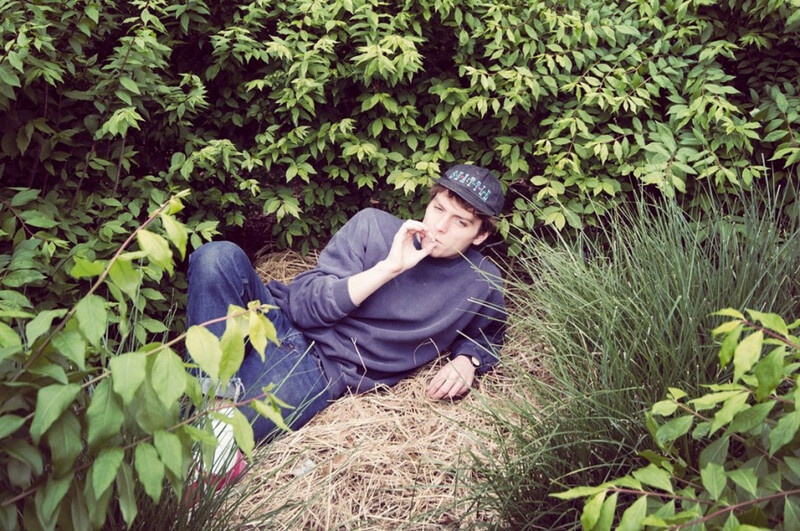 Mac DeMarco has a certain ambivalence to modern rock ’n’ roll stardom. After playing for years in Vancouver under the moniker Makeout Videotape, the gap-toothed, 22-year-old Edmonton native settled here in 2010 and started working under his own name this year. He didn’t choose Montreal because it was an indie music mecca, though—it’s just cheaper than Vancouver. “I don’t even think it matters where you’re living nowadays,” he admitted. For DeMarco, his upcoming show at the M for Montreal festival this Thursday night would be a hometown show like any other, but he recently put out his second release of 2012, 2. It has garnered rave reviews, including the coveted Best New Music status from Pitchfork, a surefire sign that the many days he spent toiling in rock-star obscurity are at an end. It’s been something of a surreal experience. “When I shifted to Rock and Roll Nightclub, that’s the first time that anybody, you know, on the larger Internet scale paid attention to my music,” he said, referring to the EP he released in January, which was a stylistic shift for him. Still, where the Rock and Roll Nightclub cover art featured DeMarco applying lipstick, 2’s cover is a shade less artful. It’s just the singer and his guitar, giving the peace sign—and the songs, which he calls a return to his Makeout Videotape sound—reflect that simplicity. He’s straightforward when it comes to the name change, describing it as a situation where he’d used the name to lend to his solo project—featuring “a rotating cast of people who would come learn my songs and play shows with me”—the weight of a band. “I think the main reason for the switch is that I’d always hated the name Makeout Videotape. It feels like a really stupid name,” he said. “I released [Rock and Roll Nightclub] under my own name, and it sounded way different than any of the stuff I’d done before. It kinda seemed like a good transition point. The 11 straightforward catchy tunes, which lean heavily on his unpretentious structuring and jangly finger-picking, also call to mind one of 2011’s best-received records, Kurt Vile’s Smoke Ring for My Halo, and 2 seems like it might be poised to crib from that record’s success, too. But where Vile’s lyrics meandered down semantic cul-de-sacs, seeming more fit to be mumbled to oneself on a city bus, listening to a Sony Walkman, than sung along to at a concert, DeMarco’s are like a little short story collection. In fact, there’s an air of Heather O’Neill’s Canada Reads-winning novel, Lullabies for Little Criminals to 2, and not just because both feature narrators whose fathers are into drugs. There’s a sense of one’s neighbourhood, of hopelessness, of the unremarkable passing of days, of bad choices made with resignation rather than regret. One of the standout tracks, “Ode to Viceroy,” is a quirky love song to DeMarco’s favourite cigarette brand, a British American Tobacco bargain name that’s smoked primarily by crusty old-timers. “When I was recording, I’d been in the States and I bought a carton of really, really cheap cigarettes at the duty-free—I think they were called Sheriffs,” he recalled. Still, the DeMarco that appears in his lyrics isn’t the DeMarco that’s put out such a solid album. There’s no sense on the album of the ambition that produced it. And for a newfound Montrealer making a name for himself and the city, he deserves some kudos for opening up a third way of sorts. He’s no Arcade Fire, and he’s no Grimes. Heck, he wasn’t even mentioned in Maisonneuve magazine’s summer 2012 cover story on the future of the Montreal music scene. And yet here he is, a 2012 EP and LP to his name, garnering critical acclaim, a goofy grin on his face. To DeMarco, the world must appear as one big joke right now—one to which he already knows the punch line.